Android is by far the more customizable of the two major mobile operating systems, but every major release, Google is taking away some of the very options that made the platform a runaway hit among power users and geeks around the world. 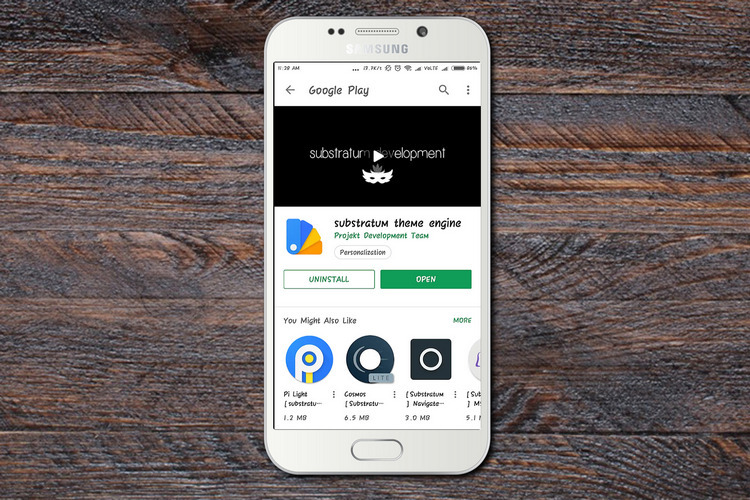 Up until Android Oreo, users could use Substratum to theme the entire operating system even without having root access, but all that is about to change with the next installment of the operating system. Google has confirmed that the issue of Substratum not working in Android P is ‘intended behavior’, which means theming without root could officially be a thing of the past in Android 9. In a Google Issue Tracker thread for Android P developer preview, an user left a complaint last March, stating that Substratum doesn’t work in Android P.
Yesterday, a Googler officially confirmed what many had been dreading; that it really isn’t a bug, but an intentional new restriction being introduced in the latest version of the OS. The Googler also claimed that the new restrictions are being put in place as a security measure. According to them, the Overlay Manager Service (OMS) is designed for OEM use, and not for use a generic theming feature. “OMS has never been advocated as a public developer feature”, the post reads. The post further states that a security patch (CVE-2017-13263) rolled out earlier this year to Android Oreo devices introduced the exact same restrictions to the installation of overlays to pre-installed or system-signed apps. The developments are apparently “in response to a legitimate security issue” in Android, which unfortunately means Google is unlikely to backtrack on this matter in spite of the Substratum team launching a Change.org petition earlier this year, urging the company to reverse its highly unpopular decision. What Google can do, however, is implement an API for theme developers to hook into apps so as to avoid any conflict with target applications or create security loopholes. The company says that it will “take your feedback into consideration with any future work in this area”, so it remains to be see what comes of that in the months ahead.